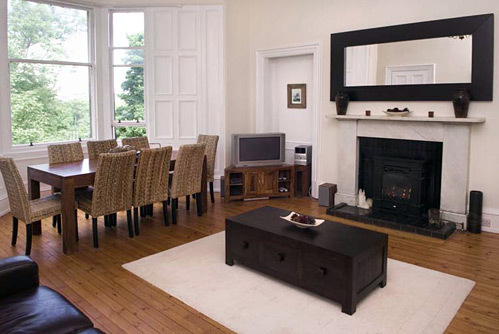 Our luxury 4 bedroom Edinburgh flat is ideal accommodation for weddings in Edinburgh for groups of friends or a family. Situated beside the Meadows in Bruntsfield the flat is a short drive from many of Edinburgh’s leading wedding venues and hotels. The accommodation within the apartment consists of 4 bedrooms - 2 large doubles and 2 twins - 2 modern shower rooms, a spacious kitchen with dining table for 6/8 and a large lounge with additional dining facilities for 8.